The Seahawks are reportedly bringing in former 49ers defensive end Tank Carradine for a visit. While the Seahawks wait to see if Sheldon Richardson will still be available after his visit to the Vikings, and if they truly can get into the Ndamukong Suh hunt after his reported visits to the Saints and Titans, they continue to take steps to try to add depth on their defensive line. 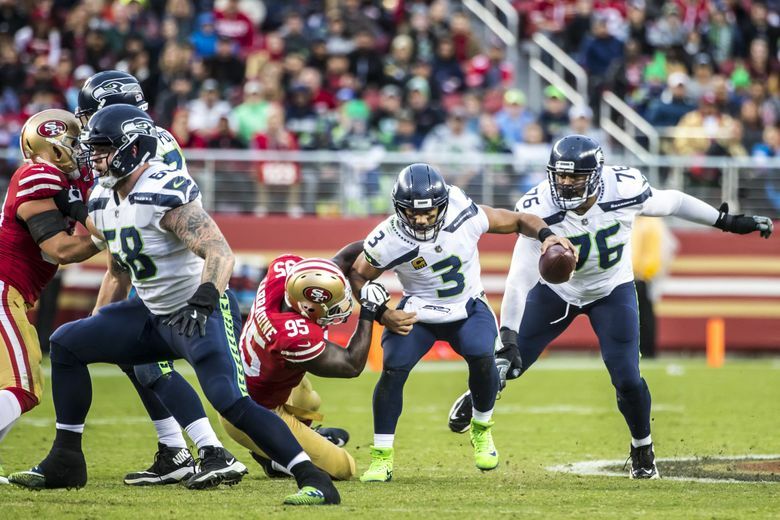 And according to multiple reports out of the Bay Area, as well as from Ian Rapoport of NFL Media, that effort will continue on Friday when the Seahawks will get a visit from former 49ers edge rusher Tank Carradine. A standout at Florida State, Carradine was a second-round pick in 2013 after having suffered an ACL injury as a senior in college. That forced him to miss the 2013 season. He has played the last four seasons with the 49ers but has fallen short of college expectations with just 5.5 career sacks and just 2.5 in the last three seasons. Carradine visited the Raiders on Thursday but did not strike a deal there and is now reportedly on his way to Seattle where he would figure to be a low-cost addition to the team’s core of pass rushers. Seattle signed Barkevious Mingo on Wednesday to fill a similar role, though the 6-7, 276-pound Carradine would figure to be strictly an end, though he has not generally been regarded as overly strong against the run. Seattle, though, simply needs some bodies on the defensive line. The Seahawks currently have 48 players under contract — which according to OvertheCap.com is five fewer than any other team in the NFL — and just eight defensive linemen, which includes Cliff Avril and Malik McDowell, whose playing futures are uncertain. The others under contract are Mingo, Dion Jordan, Jarran Reed, Frank Clark, Nazair Jones and Noble Nwachukwu. Two others — Branden Jackson and Quinton Jefferson — were given qualifying offers as exclusive rights free agents and can also be considered in the fold. Still, the Seahawks need to add some numbers on the defensive front and for the right (low) price, the team may feel Carradine worth a shot.